Wir haben zusammen mit Chizuko einen spannenden Tag in und um Nara verbracht. Sie verfügt über ein grosses historisches Wissen und ging auf unsere Bedürfnisse ein. Neben dem Big Buddha (todaiji temple) und den dazugehörenden Hirschen haben wir den schönen Kasuga shrine sowie nach dem Lunch noch sub Horyuji temple besucht. Der letztere ist das älteste Holzgebäude auf der Welt und erstaunlicherweise kein touristisches Magnet, obwohl sehr schön gemacht. Danke Chizuko für die tolle Führung. We toured w/Chizuko for 2 days in Kyoto & 1 in Nara, & saw their cultures thru the eyes of a "local." We felt comfortable w/her right from the start, as she listened to what we were interested in & adjusted our itinerary accordingly. In addition to many beautiful gardens, she took us to "off the beaten track" restaurants that we otherwise never would have found. Instead of getting a packaged tour, we felt it was customized for us, as a friend. I would highly recommend Chizuko for Kyoto & Nara. My wife, Carol, and I and 2 other couples arranged this tour given by Chizuko. She was an excellent guide. We had other guides for other tours arranged by different companies…and Chizuko was one of the best. She was enthusiastic, very knowledgeable and engaged with us fully. 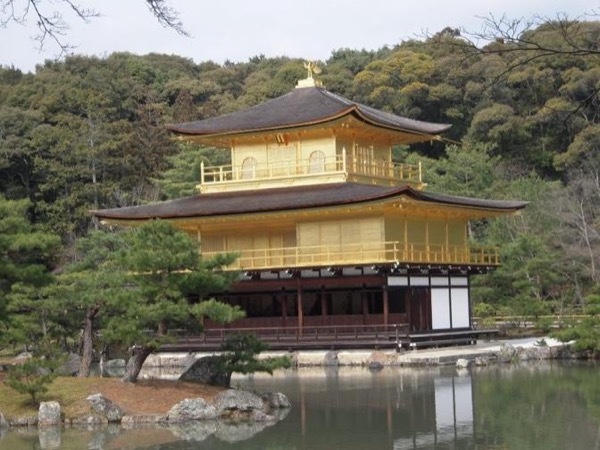 She was cognizant of our time and made certain we got to some of the most important sites in Kyoto (including Nijō Castle, the Ryoanji Temple, Sanjusangendo Temple, and Kinkakuji (Golden Pavilion). 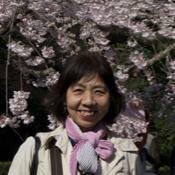 Chizuko is highly knowledgeable and flexible in adapting the tour to what you want to see. Speaks great English. Chizuko was a wealth of historical, cultural, and linguistic knowledge. This tour was a highlight of our 2 week vacation in Japan. Chizuko was very flexible and patient with our varied family group with different desires and goals represented by our different ages (one adult in her 70's, two adults in their 40's, and a child of 9). She readily altered the tour to let us progress at the pace we felt comfortable with. I would love to have her as a guide again in the future. Thank you, Chizuko! Chizuko Hamada was an excellent tour guide. She was very knowledgeable, patient and provided us with great insights to all sites that we visited. She was a good time manager so that we were accomplish all of the things on our bucket list. I would recommend Chizuko as a tour guide without any reservations. Suberb Guide,excellent english,good sense of humour,very knowledgable,really pleasant companion.Highly recommended. Chizuko was a splendid guide. She was very informative, answered all our questions and we got a lot out of our 5 hours with her. Thank you so much Chizuko! We had a great day with Chizuko. She was very accommodating managing a family of 5 and adapting the day to everyone's needs. Her knowledge and passion for her city's history was amazing and we all had a fantastic time. We would highly recommend Chizuko for your discovery tour of Kyoto. A very educational day lead by our tour guide. She had a long list of possible choices and we were easily able to customize our trip. She was very knowledgeable and and could answer all of our questions. Chizuko was a wealth of history, local perspectives and very flexible with our itinerary. We visited several sights and she pointed out numerous small "treasures" that we would have missed without her "local knowledge". We would absolutely ask Chizuko to "add" to our next Kyoto adventure! Chizuko was an excellent and very kind guide for my family of 5 in Kyoto. We visited the Golden Temple, Nijo Castle, and Fushimi-Inari Shrine. She was very knowledgeable about all of the sites and explained so many interesting features of the Nijo Castle, Shintoism, Samurais, and Shoguns, and Emperors! She also made using public transport so easy with five people using buses and the local subways. Would highly recommend to all wanting a great first glimpse of what Kyoto has to offer! Chizuko was an amazing guide during our day long tour of Kyoto. She reviewed our "wish list" of sites we wanted to see, and advised as to which ones she could show us, and which ones we could easily do on our own another day. She was also able to make recommendations on places for a private tea ceremony, and other areas we could explore. Chizuko's English was terrific, and her sense of humor was delightful. We would highly recommend Chizuko for your time in Kyoto. Dear Chizuko, Thank you for a fabulous day in Kyoto. What an exceptional city and what an enlightened guide you are. Thank you for sharing your knowledge and being so helpful and professional. You listened to what we requested and came up with a very reasonable plan. We wish you the best always! Chizuko was an excellent guide, knowledgeable, and a good companion. We traveled by public transportation to Nara; walked miles through parks touring shrines and temples, and visiting sites of historical and religious importance. And as an added treat, back in Kyoto, we visited the Fushimi Inari Shrine. Nara is a must see, and I recommend Chizuko as your guide. She was very informative and speaks great English. Chizuko also has a very positive attitude and seems to enjoy her work and making the guest happy. We were 100% pleased with our experience with Chizuko today. Thank you again! Chizuko met us at the train station for a private customized tour of western Kyoto and Gion. Chizuko is very knowledgeable, accommodating and helpful. Pace was just right - not rushed at all. Chizuko's English is good. I learned a lot about the Gion district, the Geikos, Maikos, from Chizuko. We were very lucky to see the Maikos on their way to work. (This is my 2nd tour with Chizuko). Thank you Chizuko! Very knowledgeable, good pace, flexible with itinerary. We were traveling with our 5 month old baby and Chizuko was extremely accommodating. Highly recommend! Chizuko was veryhelpful and taught us a lot about all the different sites we went to see. We saw a lot of kyoto's Highlights and we spent the whole day with her. Thanks a lot! Great Tour, Chizuko San was dot on time at the Shinkansen platform waiting for us. She is very personable and fitted in in the five hour tour we asked for, what we wanted to do Fushimi Inari, Nijo jo Castle, Arashimaya, Kinkakuji and she wanted to do Gion to end the tour however we were too exhausted to continue, she seemed full of energy when none of us could walk any longer. We wanted to take taxi's And she was v cost conscious and tried her best to find a 5 seater taxi everywhere. Awesome person. We had the pleasure of having Chizuko as our Guide for this Kyoto Highlight Tour and what an amazing experience , we learned so much about Kyoto and she managed to fit in as much as possible in one day. We visited some of the most important places by using public transport which was a lot of fun, she is very knowledgeable on the history of the various sites and Japan. We also enjoyed a very interesting introduction to the Gion Area which was fantastic. We highly recommend Chizuko as a Guide in Kyoto. I had a second very full and wonderful day with Chizuko! I loved our time at the Raku Museum, seeing the Bamboo Forest and the extended time that we spent in the traditional Gion Quarter of Kyoto. She knew alot about this neighborhood and about the Geisha culture. We walked a great distance but had a delicious lunch at what must be one of Chizuko's favorite restaurants frequented by locals. And we were warmly welcomed. Chizuko did her best to bring Traditional Japan to life for me. Chizuko is a wonderful guide and a lovely and fun person! She was a perfect Japanese person for me to spend time with soon after my arrival in Japan. After her prompt arrival at my hotel, we reviewed our plans for the day and a half that we would be together and then we were off..... I loved the Imperial Palace, the Heian Shrine and the Museum of Folk Crafts, a museum that Chizuko particularly suggested we visit. She was knowledgeable and helpful at all times. Too much walking and consequent loss of time. Clients required to pay all expenses. What is purpose of advance payment? Guide was knowledgeable and helpful, although we had to pay bus fares. Facing a day of horrendously bad weather, Chizuko did a great job with her flexibility to deal with the conditions. We learned an amazing amount from her and the eight hours went by too fast. Brava! Although she is very well dispose to help and to give explanation, she does not speaks that well english and some time the lack of fluency affected the explanation and we missed crucial information. Chizuko is a great guide with a wry sense of humour, and we really enjoyed our tour in Kyoto with her. We had missed our train to Kyoto and were terribly late and flustered when we finally arrived. Chizuko had waited patiently and did not make us feel rushed in the least. Despite the shortened time, we were able to visit the two key areas of interest to us and, through her extensive knowledge, learn a great deal more of Japanese culture and history. We had a very nice tour with Chizuko. She is very knowledgeable and is willing to answer all questions. We saw various spots in Kyoto that were very spread out. Chizuko helped plan everything so we could be more efficient. We were lucky. On the day of arriving we came across Chizuko's agenda and she was fully booked except for the next day. Perfect! We met at our hotel next and we took of immediately. She showed us some of the nicest places in Kyoto explaining history, function etc. Altough temperature was very high she kept going. Friendly, helpful, understanding. Everything you would like a guide to be. We can only hope for you (reader) she is available for you when you need her. Thank you again Chizuko! Chizuko was very knowledgeable and friendly. I only had one day in Kyoto and she did an amazing job of showing me the sites as well as teaching me about her city. Chizuko was our tour guide. She guided us to the Fushimi Shrine and to the Arashiyama area where we walked through the bamboo forest. The tour continued to the Golden Temple and other sites in the city. She was very knowledgeable and friendly. We learned a lot of things that were beyond the obvious that she was able to point out and explain. We had difficulty communicating at times due to language issues (her level of English was conversational, not advanced), and her pace was slower than I wished. Chizuko was a really friendly guide. She explained a great deal about each of the sites we went to and she also shared a little bit extra on the Kanji alphabet and some of the traditions of the different shoguns. She was really nice to the children as well. We would recommend Chizuko to any traveler! We had a great time with Chizuko as she took us around many of the major sites in Kyoto for our first visit here. She's very knowledgeable about both the historical and cultural significance of the palaces and shrines we visited and shared that knowledge in a very thoughtful and easy to understand fashion. And she also gave us insight into what it's like to be a native Kyoto resident. We were very happy to have her as our guide and would recommend her without hesitation! We really enjoyed our time with Chizuko. She put together a half day tour that allowed us to see the most important sights in Kyoto in a half day and had great explanations for the history of the area and the sights we visited and how they related to Japanese history, She was enjoyable to be with and had a good sense of humor. I would recommend her tours to anyone visiting this area. It was a rainy day in Kyoto when we took our tour to Arashiyama with guide Chizuko H., but we still had a wonderful time. She was friendly and knowledgeable and made sure that we were able to get a lot of great pictures in the bamboo forrest. We also chose to visit the Gion District and she was able to share with us lots of interesting information about the Geiko and Maiko. This was a great private tour of Kyoto. Chizuko worked with us to adjust the tour on the fly to our preferences and offered suggestions for additional sights that were near the top sites on our list. Her knowledge of the area and its history were invaluable to us since we only had one day in Kyoto and we wanted to see as many of the top sites as we could and she delivered more of a tour than I had hoped for. I highly recommend Chizuko. Chizuko was an amazing guide - we would not have been able to see so many things in a day without her! She was very accommodating to our schedule and preferences and very knowledgeable about Kyoto, it's history and culture, and everything we wanted to know. Chizuko was absolutely amazing! She was incredibly knowledgeable and made navigating around Kyoto so much easier for us. We had a five year old and we had never left the U.S. but she made us feel comfortable and was an absolute pleasure. If we are ever back in Kyoto, which we hope to be back as soon as possible, we will undoubtedly hope that Chizuko is available. Thank you so much for making our trip extra special! Our tour with Chizuko was great! The day was jam-packed, Chizuko made sure we saw as much of Kyoto as possible in one day. We saw all the major highlights, had a wonderful lunch, and had plenty of time for photos and some shopping. Chizuko was extremely knowledgeable and friendly, and speaks excellent English. We highly recommend her! Chizuko really knew her stuff. She ran us all over Kyoto on our full day tour. We breezed through subway rides and subway transfers with ease from site to site. Would highly recommend. Chizuko was a wonderful tour guide to have! Not only was she willing to adapt the tour to fit our schedule, but she was also very patient with us--especially when we were running late. She was also very friendly, and it was easy to ask her questions and make conversation with her. In fact, once we had told her which aspects of Japanese culture we were interested in, she made sure to point out related fun facts while we toured Kyoto together! I would definitely recommend her as a guide to Kyoto. We can very highly recommend Chizuko H. Having lived in Kyoto her whole life, Chizuko was extremely knowledgeable providing the history of the sites we visited and the best transport options to take. Having Chizuko as our guide we were able to fit a lot into the day. We were very grateful that we were able to have such an experienced,kind and caring guide for the day. Thank you Chizuko, for sharing the day with us. Chizuko was an excellent guide and a wonderful person. She is very knowledgeable , friendly and, as born and raided in Kyoto, she has the insider information. We would certainly recommend her to anybody wishing a days tour in Kyoto. It was very enjoyable to spend the day with her. Our guide, Chizuko, was very knowledgeable about Kyoto and questions we asked her. We saw 4 different places of interest, Arashiyama and bamboo forest, Kinkakugin, Nishiki Market for udon, and Gion in 6 hours. It was a whirlwind tour and we thank her for doing such a great job! I would definitely use her services again. Chizuko was excellent company for our visit to Nara. Knowledgeable, easy to communicate with, and humorous. A pleasure to be with. Chizuko is an excellent guide. She was punctual, knowledgeable about historical and religious history, and provided succinct responses to our many questions. Her tour covered several religious shrines; one of the edge of Kyoto and the others in Nara proper. A group of six was moved on public transit through large crowds and walked quite a bit and learned a great deal about the importance of Nara. All felt Chizuko provided an informative tour and was a person with whom we enjoyed spending our day. We thoroughly enjoyed this tour. Chizuko was knowledgeable, friendly and very relaxed. Thank you for a lovely day out Chizuko. We will highly recommend your services to any friends visting your lovely city. Chizuko was an excellent tour guide. She grew up in Kyoto so she knew the area very well. She helped us learn how to get around the city, and was a wealth of information about everywhere we stopped. Within the tourist spots she provided a great history of the Shogun reign. I highly recommend. My wife and I spent the whole day in Nara with Chizuko. She was informative and very personable. Well worth the cost. Chizuko was an amazing guide. In just one day we went all over Kyoto, hitting all the highlights. She really knew the bus lines so everything was efficient and we made the most use of our limited time. Chizuko could answer even the most obscure historical questions and was a delight to be with. Lunch was delicious and affordable. We even saw a Maiko (apprentice Geisha) in Gion which is a rare sighting. We would highly recommend her! Chizuko is very knowledgeable of the monuments and history of Japan and Kyoto especially. Very kind and helpful. Excellent communication skills, and ability to organize an exceptional day in Kyoto. Great tour guide with excellent knowledge as well as concern for client's needs. Greeted us warmly with a big, energetic smile from the beginning! Just an overall wonderfully pleasant and fun day full of fun, laughter and learning! Chizuko made our half day tour so memorable, we will be talking about it for many years to come! Highly recommend her, and hope we can enjoy her services again in the near future! Chizuko is an excellent guide. She has an amazing knowledge of Kyoto history and customs. She is a Kyoto native and you can tell that she loves this city. We (family of 2 adults and 2 kids-age 5 and 7) went on a comprehensive tour of Fushimi Inari Shrine and Nara. Chizuko navigated us through bus, taxi, and trains. Chizuko was an excellent guide and very helpful not only on the tour but also for helping us with a lost item she was able to track down for us. Chizuko's English is very good and we highly recommend her. This was a great tour and so flexible as well, the guide was very knowledgeable and caring. We visited the places we wanted to and Chizuko made the commute very easy for us. Would recommend this method of touring, our guide even taught me a little Japanese such a great extra. Three of our party were new to Kyoto and one had been before- Chizuko gave us all a wonderful day and many of the things she taught us as we explored made not only the time in Kyoto better but the rest of our time in Japan- it allowed us to get so much more out of all the shrines and historical places we visited- very grateful and would totally recommend. Great way to see some highlights along with valuable insights into Kyoto and it's culture. Chizuoka was knowledgable and friendly and we had a great lunch stop after visiting the Inari Shrine and Arashiyama. We then moved on to the Imperil Palace and finished with a stroll around the famous and also less well known streets of Gion. Highly recommend you organise a day tour with Chizuko. Chizuko shared the history of the places which we visited and helped us buy the Sagano scenic train tickets in advance. She took the trouble to check the availability of the open deck cabin on the actual day. All these showed her professionalism and great customer service! Thank you, Chizuko for the memories! This is the first time we used Tours By Locals and won't be the last as we had a great experience! Chizuko was an excellent guide. We learnt so much about Kyoto and Japanese history and culture from her. Highly recommended! We spent two days touring with Chizuko, one touring Kyoto and one going to Nara. She is a wonderful tour guide and a very nice lady. She got us to Nara, the Fushimi Inari Shrine and other places on subways and buses so we could see the most in a day. Her English is very good as she explained the history and culture of each wonderful place we visited. We had a terrific "locals only" lunch with her. She also taught my wife some Japanese and Chinese words and symbols as we travelled. Chizuko is great! We enjoyed the tour of Gion and Arashyama a lot . Chizuko is knowledgeable and experienced guide with good English . I am very happy that we decided to get a guide in Kyoto and happier that we chose Chizuko. She is very easy to deal with. She accommodated all our requests, even a last minute request to change our scheduled tour. We learned a lot about the places we visited and enjoyed the experience of a hassle-free visit in Kyoto. If you want to cover as much places as you can with a limited time, Chizuko is the answer! She will even take you to a delicious local Japanese restaurant. The Kyoto Highlight full-day tour with Chizuko was exactly what we needed, having never vistied Kyoto before and having no real ideas about what we wnted to see. Everything she suggested was excellent and we enjoyed the whole day. Travelling on public transport added to the experience and lunch was really good. I would recommend this tour to anyone and would definitely use Tours by Locals again. Thanks so much. Chizuko was very helpful and knowledgeable. We enjoyed our trip and the Kaiseki dinner was good. Chizuko is a extremely knowledgeable as well as kind and generous with her time. We very much enjoyed our day with her and learned a lot about history and culture of Kyoto. The tour guide was prompt, knowledgeable and very flexible in adjusting the tour to suit my interests. She obviously enjoys her job and was a pleasure to be with. Perfect tour for a family with a baby. We covered all the popular spots/highlights of Kyoto in one day. There is no way we could have done this on our own. The tour was relaxed and unrushed. It was so informative and gave us a great inside into Japanese culture and history. Lunch was delicious. We will recommend Chizuko Hamada to everyone visiting Kyoto. Chizuko provided an excellent insight into the history of Kyoto and contemporary life. We would recommend her to any future traveller. Our guide Chizuko was wonderful and had all the answers to our questions. She guided us effectively around town to see the temples and shrines that we had chosen from her recommendations. She knew all about history and lifestyles of the past. Chizuko speaks good English and we would strongly recommend her.